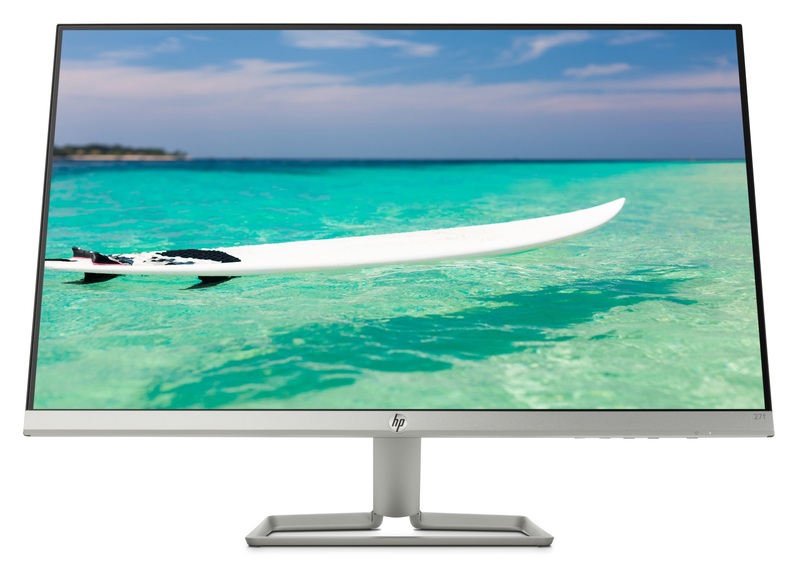 LAS VEGAS, NV — HP is also releasing new monitors ranging from 21.5-inches up to 27-inches in FHD (1920x1080) resolution. The backlit IPS LED has an ultra-thin bezel, enabling what HP calls a 'micro-edge display', around the top and left and right sides while the bottom is a bit thicker. 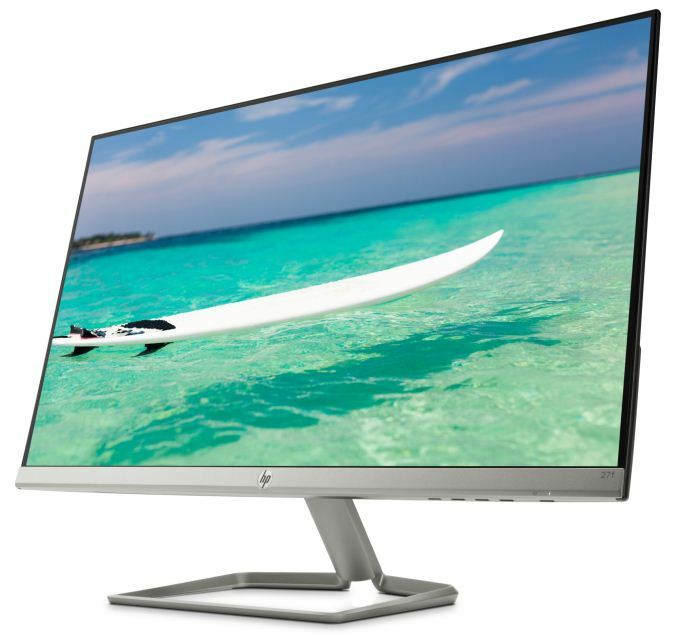 The Freesync panels give users 178° viewing angles on its non-reflective anti-glare panel. HP says the new monitors offer modern designs without the premium price tag. The monitor is able to reproduce 72% of the NTSC color gamut, has a typical brightness of 300 nits, and contrast ratios of 1000:1 static and 10M:1 dynamic. 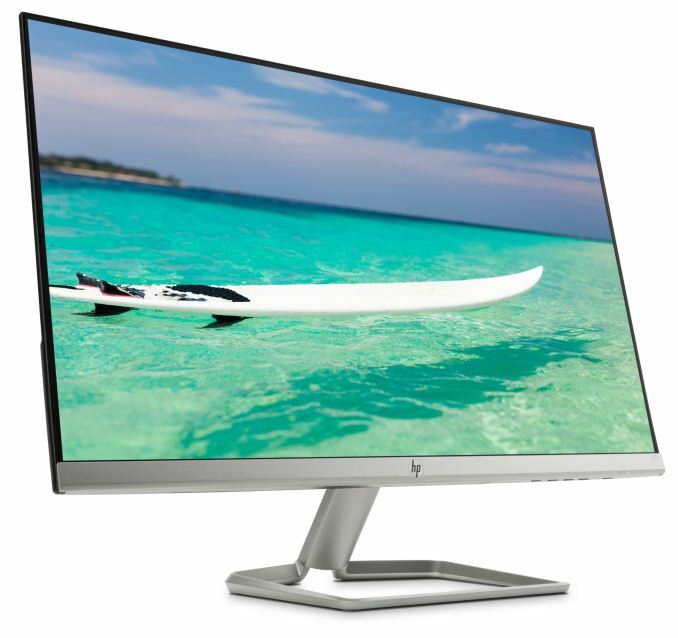 Connectivity on the 22-24-inch models includes a single VGA and HDMI adapter while the larger 25-inch and 27-inch monitors add an additional HDMI port totaling 2. All monitors do have HDCP support. The f series displays all have a 75 Hz refresh rate and responses times are at 5ms GtG and 14ms GtG (typical) and 28ms GtG maximum which should allow for a ghost-free gaming experience. The exterior colors are offered in Jet Black and White which will allow it to blend in with many home decors. The micro-edge display, 3.5mm of inactive black space, and the thin design give the monitors a contemporary look and can be a good choice for multiple display setups where thin bezels are key adding to the immersion factor. Pricing on the monitors will range from $99 for the 21.5-inch to $229 depending on the display size. They will be available on April 15th, 2018. For business cases, where high DPI doesn't really matter, but cost does. For those who do not sit close to their screens. For people with less-than-great eyesight.